3U3D alluded to the Marlins fire sale possibilities on July 23rd, then again on July 25th, but it wasn’t really there yet. They had kept everyone they signed in the offseason on the team…so far. 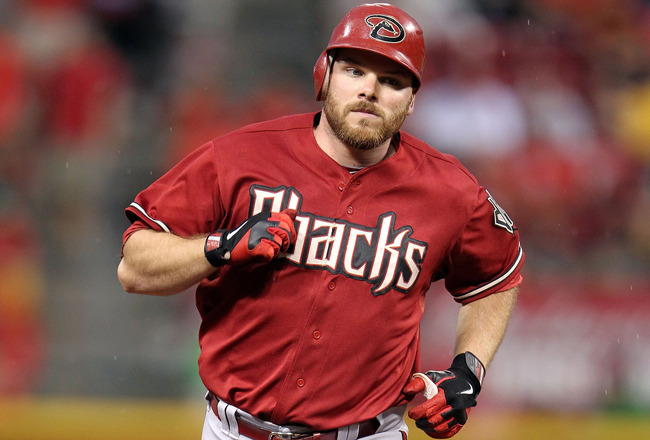 Then a little fuel was added to the fire sale with Heath Bell being sent to the Diamondbacks on October 20th. Tonight, the hot stove and fire sale was set ablaze with a blockbuster deal that ends an era in Miami before it even begins and put the Blue Jays in the thick of the AL East, making it officially the toughest division in baseball. Let’s take a look at the trade that’s going down. The first thought that comes to mind is wow. Look at all of that talent that is heading north of the border. The Blue Jays have decided to take on a ton of money (up to $165 million) in order to try and compete in the A.L. East. The speed throughout the order with Reyes, Bonifacio, and Rajai Davis will be the best in the American League. Buehrle and Johnson instantly become the best pitchers in Toronto and can provided veteran leadership for Brandon Morrow and Ricky Romero. 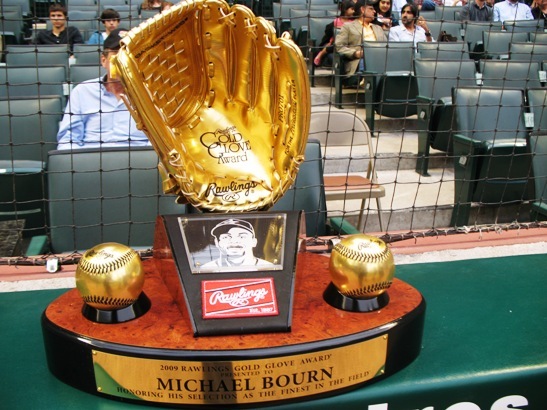 Romero will need it after the 2nd half he had in 2012. The Blue Jays also shed Escobar who needed a fresh start after the unfortunate, gay slur incident. I do find it interesting that the Jays brought in John Buck in the deal. The Jays have J.P. Arencibia behind the plate starting and top prospect Travis d’Arnaud looking for his opportunity in AAA. It almost makes me believe that one of those three could get moved in another move to get more pitching help. Pure speculation though. What do the Marlins get out of this? Well obviously more PR woes and grief that they may have fleeced the city into a new stadium, while not providing a competitive team. Not to mention the continued outcry for owner Jeffrey Loria to sell the team. Miami basically stole the Red Sox reset button and brought it to little Havana. They’ve undone everything that they did in the offseason and then some. Escobar is a good, but not great player. Alvarez showed some promise in 2011, but took a step back last season. He’s still young (turns 23 early in the 2013 season) and more importantly to the Marlins, affordable. We’ve seen pitchers turn it around in the N.L. maybe Henderson Alvarez is next. Of the prospects, Marisnick is the most intriguing. He’s ranked as the #32 best prospect in MLB by ESPN’s Keith Law. Nicolino was the best left-handed pitching prospect in the Jays system. Hechevarria could replace Escobar at shortstop in the near future and was ranked by MLB.com as the 7th best prospect for Toronto. What does Miami do next? There are rumors that Giancarlo Stanton could be next on the block, with Stanton even saying on Twitter that he was pissed off at the situation. Fans for every team are already comtemplating trades to get the slugger on their team. Time will tell if the fire sale rages on in Miami. 1. WHY DIDN’T I GO TO THAT GAME? The first is easily explainable. I live 30 minutes east of AT&T Park, but I don’t just empty the bank on random nights to go to a Giants game. 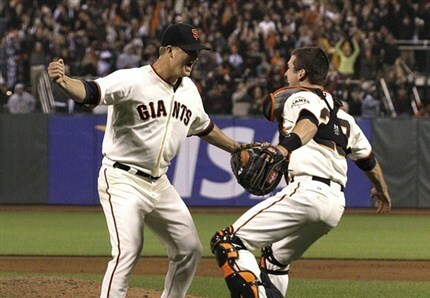 And why in the world, out of every Giants game I could attend, would I pick one against the lowly Astros? My second statement is the one that might surprise you – why is a Dodgers fan congratulating a rival pitcher on a historic feat, let alone on a night that saw his team lose one game of their division lead to said rivals? Because I’m a classy baseball fan! That’s what we do here at Three Up, Three Down, and you’d be hard pressed to find me ever dismiss a historic moment, no matter the jersey being worn. There have been 22 perfect games in Major League history, including two in 2012 (only the third year ever that two perfect games have been thrown in the same season – also done in 1880 and 2010), but few have been more dominant than Cain’s last night. Yes, it counts if it was before cars were invented. This is an early era of baseball that a lot of fans don’t appreciate, but pitchers consistently threw every inning of almost every game and the ones who did it well deserve respect, even 132 years later. Ward, 20 at the time, struck out two Buffalo Bisons (if anyone knows where I can get a Bisons jersey, please let me know ASAP @Jamblinman on Twitter…seriously!) players en route to being the youngest perfect pitcher in MLB history. How can you not love what Braden did on Mother’s Day in 2010, unless your name is Alex Rodriguez? Braden’s first career complete game was surely the crowning moment of what is slowly becoming a less and less relevant Major League resumé. He perfected the Tampa Bay Rays who were an MLB-best 22-8 coming into the game, and accentuated it with a huge fist pump coming off the mound. Would you believe that a mere five days before Ward tossed his gem for Providence, Lee Richmond of the Worcester Ruby Legs (why can’t we still have awesome team names like this??) got things rolling with the first recorded perfect game in baseball history? He K’d five batters in a 1-0 victory over the Cleveland Blues. Humber struck out nine batters, including Brendan Ryan for the final out, on what may or may not have been a check-swing ball four. We’ll let it slide and give Humber the benefit of the doubt. One thing I don’t doubt is that this was an incredible, albeit fluky performance from Humber, who accomplished this feat on just 96 pitches. To further prove my aforementioned classiness, I will forgive Martinez for making my Dodgers look foolish in this game. I’m sure he is breathing a sigh of relief. But Martinez was already having a fantastic season in ’91, and adding a perfect game against a team that was 15 games over .500 was the peak moment for him. Another pitcher who victimized my Dodgers nearly became the first pitcher to throw two perfect games when he retired 24 in a row against the Phillies one year later. Alas, the poor guy had to settle for just one perfect game, and it was a doozy. 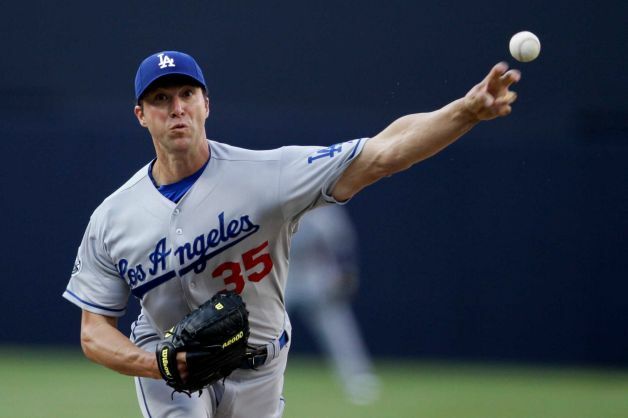 On 100 pitches, Browning struck out seven batters on the first-place Dodgers. The pitcher, not the singer. And if you had them confused, please kindly exit this blog right now, close your laptop, undress, and apply 20 lashes to your own back. Trust me, it’s better than what @RangerfanBrian would do to you for disrespecting Kenny like that. Rogers threw a gem against the California Angels here, ringing up 8 batters on 98 pitches along the way. Robertson’s perfecto is pretty mind-boggling for a few reasons. First, it was only his fourth career start and fifth game in the big leagues. Second, he perfected a Detroit Tigers lineup that was boasting a mind-boggling team on-base percentage of .373 at the time. And finally, he only had 49 career wins! But he can count this one as his most memorable, I’m sure. I still can’t decide what was more impressive – Buehrle’s perfect game against the Tampa Bay Rays (who were also perfected by Braden in 2010), or this ridiculous play on Opening Day of 2010. Just kidding, the perfecto is obviously better, but still. Pure athleticism. Buehrle, one of baseball’s good guys, struck out six batters in this game. Witt’s perfect game came on an efficient 94 pitches against the Texas Rangers. The Angels and Rangers are the only teams to throw perfect games against each other in MLB history. Among those 94 pitches, Witt was able to snag 10 strikeouts. He was also the losing pitcher in Rogers’ 1994 perfect game, and is the only pitcher ever to start and finish a no-hitter (he was the closer for a no-hitter in 1990, started by teammate Mark Langston). Joss only struck out three batters in his perfect game against the Chicago White Sox. But the most mesmerizing statistic in the box score is his pitch count. An unbelievable total of 74 pitches were used over the nine innings, averaging less than three per batter. Joss later threw another no-no against the White Sox, becoming the only Major Leaguer to ever no-hit the same team twice. The guy that certain award is named after holds the career wins record with 511, a mark likely to never be approached for the rest of time. But only once was Cy perfect. He beat the Philadelphia A’s 3-0, recording eight K’s along the way, and contributing to a scoreless innings streak that eventually reached 45 total. Many questions swirl around this perfect game, and none have to do with close calls or potential ball-doctoring. But after Wells perfected the Minnesota Twins, striking out 11 batters on 120 pitches, he told the media he was “half-drunk” on the mound that day, from partying too hard the night before. Fun fact: Wells attended the same high school in San Diego as Don Larsen, who will be making an appearance later on this list. Only 14 months after his teammate was perfect, Cone doubled the Yankees’ pleasure, tossing a gem against the Montreal Expos. In the 6-0 win, no Expos batter reached a three-ball count, and Cone struck out 10 batters on just 88 pitches. Before the game, Don Larsen threw out the first pitch to Yogi Berra. Cone’s catcher was current Yankees manager Joe Girardi. Just like Cone, Barker never reached a three-ball count on anyone in this game, a 3-0 win over the Toronto Blue Jays. It was the first time a team in the designated hitter era was perfected, so Barker had one extra real hitter to deal with. Something I was very impressed with upon my research, was that all 11 of Barker’s strikeouts were swinging. 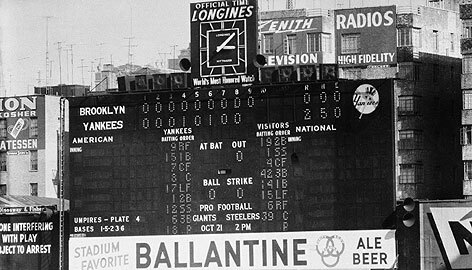 Bunning struck out 10 batters on just 90 pitches in this 6-0 win over the Mets at Shea Stadium. His was the first National League perfect game in 84 years, since Ward’s in 1880. He pitched it on Father’s Day, which is just a cool nugget, but the real story is that he completely bucked the voodoo tradition of not talking to a pitcher during a no-hitter. He kept talking to his teammates to keep them loose and relaxed along the way. The future Hall of Famer went 3-for-4 at the dish in this game with 3 RBI in a 4-0 win over the Minnesota Twins. Oh, and he also just happened to allow no runs, no hits, no walks and faced the minimum 27 batters. What’s that you say? A perfect game! 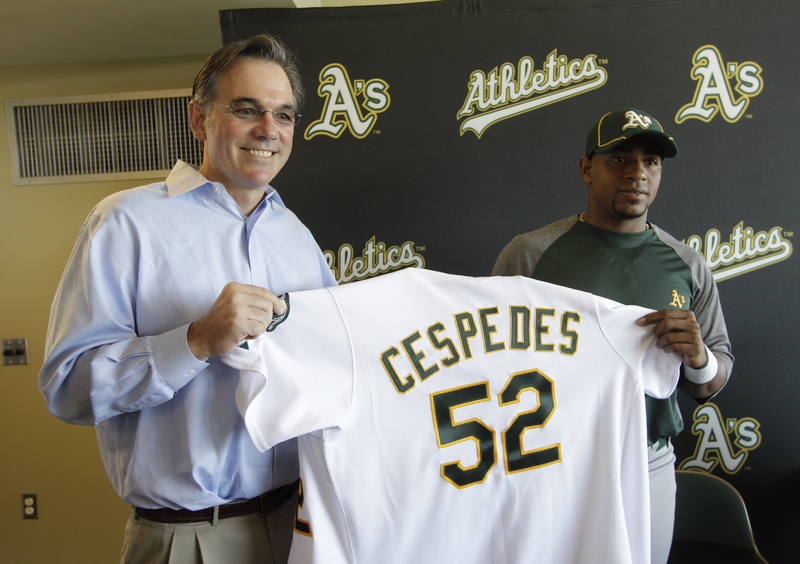 Just after the A’s moved to Oakland, too. What a welcome to California for Hunter and the A’s fan base. Just 20 days after Braden’s unlikely perfecto, Doc Halladay surprised nobody and finally threw his first career perfect game. We all know he’s the mastermind of a playoff no-hitter the same year, but this 1-0, 11 K gem against the Florida Marlins was still his best overall performance of the season. Halladay was the obvious choice for 2010 N.L. Cy Young. It was always a “when,” not an “if” The Big Unit would toss a perfect game as soon as his flowing, golden mullet cracked the scene in Montreal. Nobody could have guessed it would take him until age 40 to get there, becoming by far the oldest pitcher to ever throw a perfecto. The Braves, who he beat 2-0, had a very solid .593 winning percentage at the time, too. His 13 strikeouts are second most ever in a perfect game, behind the next two on my list. Must know: Randy was born in Walnut Creek, CA; the same hometown as yours truly! I promise you this is not a case of “it just happened, it must be the greatest.” Comparing his to the rest of the perfect games on this list, there is no way he and his 14 strikeouts are out of the top three. Cain tossed the first perfect game in the Giants’ extensive franchise history, and was of course helped by this unbelievable catch by Gregor Blanco in the 7th inning. Fun fact that you probably already know: Ted Barrett, the home plate umpire, was also behind the dish for Cone’s perfecto in ’99. Koufax’s perfect game almost didn’t happen – the opposing pitcher, Bob Hendley of the Chicago Cubs only gave up one hit, but eventually his fine performance was forgotten by Koufax’s incredible start. Sandy struck out 14 batters, and recorded his fourth career no-hitter (one in each season from 1962-1965). Perhaps most impressive in this perfect game is that future Hall of Famer, and one of the best players of all time who didn’t win a ring, Ernie Banks, was held to 0-for-3 with three strikeouts. The Yankees absolutely terrorized the late 1940’s and all of the 1950’s, playing the Brooklyn Dodgers in the World Series seven times in a 10-season span, and winning six of them (1955 being the exception). Undoubtedly, the most amazing moment of any of those championships was when Larsen fanned seven Dodgers en route to winning Game 5 of the World Series. The intensity and stakes involved in the playoffs skyrocketed this one to number one on my list, and there was no hesitation. Larsen’s gem was, and still remains, the only perfect game in postseason history. 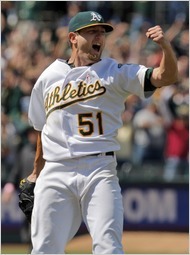 We’ve seen five no-hitters in 2012 now, of all shapes and sizes. There have been two perfect games, a no-hitter marred by controversy, a no-hitter for the ages from Jered Weaver, and one collaborated on by six different Seattle pitchers. But there is no doubt that Cain’s was the best of the bunch so far, and one of the greatest of all time. This season has already been one of the most incredible, legendary seasons in any sport in any era. Here’s to hoping it continues to trend that way! I think it’s officially time to re-name 2012 the Year of the Pitcher. Hope everyone enjoyed their first taste of interleague play last weekend. I know I did with the Braves taking two out of three from the AL East leading Rays. Now that we’re back in traditional league play let’s see what this week has in store. I’ll try to not put the Braves match-up with the Nationals in the top spot, but before I look at everything else, it’s a fair warning it’s going to end up there. This match-up would never crack the top five usually, but it makes it for one reason, Banner Day. What is Banner Day, you ask? It used to be a Mets tradition that fans would make giant banners and after the game would walk in a parade around the stadium. Living in Connecticut, I get SNY which airs Mets games. They’ll occasionally show “Mets Yearbook” chronicling a past season and my favorite part to randomly watch is Banner Day footage. The puns are always hilarious. I’m setting the over/under at “We Like Ike” or “He’s got the Wright stuff” at 24.5. Might go under with the way Ike Davis and played this year. Watch this and enjoy! Might have to make the four spot the “Marlins” spot as they’ve now been here each of the last two weeks. The series started Thursday night with a Giants 14-7 victory. Two struggling starters take the hill on Friday in Tim Lincecum and Josh Johnson. The other two pitching battles are solid though as well with Madison Bumgarner and Mark Buehrle on Saturday and Matt Cain taking on Ricky Nolasco on Sunday. I really would like to take this time to make sure you endorse Giancarlo Stanton for the 2012 Home Run Derby. First, he breaks the scoreboard on a grand slam off of Jamie Moyer. Then follows it up Thursday night with a bomb over the Clevelander nightclub into the Budweiser Balcony in left field. I’ve said it from the start of the new Marlins Park. Stanton will put one off the glass in left field at some point. Another series that started Thursday with a high-scoring affair 10-9 in favor of the Phillies. This series also features two solid pitching duels with Cliff Lee and Kyle Lohse on Friday and Roy Halladay/Adam Wainwright on Sunday. 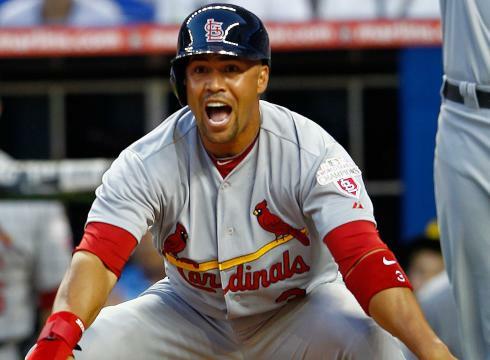 As we discussed on Kelsey’s Kardinals Injury Korner the Cardinals offense is in shambles and add Matt Carpenter to the disabled list. Halladay and Lee should be able to pick apart the depleted Redbirds lineup. This series also features two of the best catchers in the National League in Carlos Ruiz and Yadier Molina. National League catcher might not the deepest, but also the most difficult position to choose for the 2012 All-Star Game. Who do you send home from Molina, Ruiz, Brian McCann, Buster Posey, and I’m being serious with these last two, Jonathan Lucroy and A.J. Ellis. There are going to be a lot of disappointed backstops. Here’s a chance for the Jays to make a statement and show the rest of the American League that they are for real and can contend for the playoffs. Brandon Morrow goes in game one for Toronto after becoming the 1st pitcher in MLB to have two shutouts this season. Yu Darvish should be in line for a good start on Sunday for Texas, seeing as he’s dominated every team not named the Mariners in his short career. No home runs in the past 11 games for Josh Hamilton, ugh what’s wrong with that guy. Please note sarcasm. The battle for NL East lead. I tried to promise not making it number one, but it’s the only series that will decide who is leading a division come Monday. I’ll keep it short, but the Sunday match-up of Gio Gonzalez and Brandon Beachy may decide the winner of the NL Cy Young in my “Too Early MLB Awards” coming at the start of June. This is my favorite game of the weekend, no bias I promise. I hit a rough patch going 1-2 last week with Henderson Alvarez and Jarrod Parker getting crushed at home, while John Danks through 6 shutout, go figure. Naturally, Parker’s next start was fantastic. Here’s what I have for this weekend, remember they must be 50% owned or less. 12-5 record on the season. 5/25 Ivan Nova (48% owned) at Athletics, 2-0 in his career against Oakland, the ERA isn’t great, but Nova is coming off the best strikeout performance of his career. He should be solid in that ballpark. 5/26 Mark Buehrle (47% owned) vs. Giants, Going back to the well with Buehrle who performed admirably for me at home in a Mapes Fantasy Special two weeks ago. Hard to expect a win against Madison Bumgarner or a ton of K’s, but good peripherals will carry the day. 5/27 R.A. Dickey (49% owned) vs. Padres, I might be copping out a little bit taking three guys really close to the 50% threshold, but I didn’t think Dickey would be available. He never gets enough credit and is a quality start machine. Plus, it’s Banner Day! Kudos to any Mets fans to can sneak in a Dickey pun on the field. What would your Mets banner say? Let me know in the comments. Have a happy and safe Memorial Day weekend and take some time to thank a soldier for their service to our country.